Hightown’s new Lintone Place development has been officially opened, bringing 69 much-needed affordable homes to Luton. 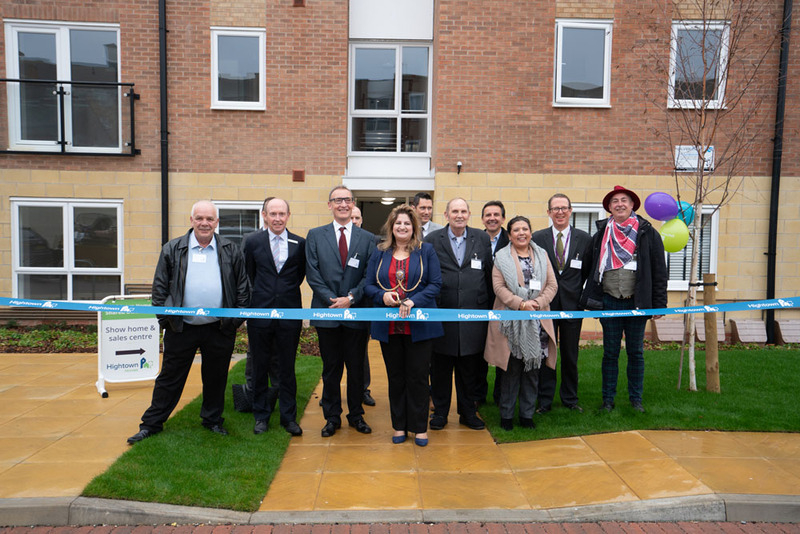 A special opening event was attended by Cllr Naseem Ayub, Mayor of Luton, who formally opened the new homes, as well as new residents, Hightown’s Chair and Chief Executive. The homes are situated on the site of the former car show room Stratsone for Jaguar on Holly Street. 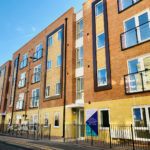 Lintone Place comprises of 53 apartments for rent to people in housing need on Luton Borough Council’s waiting list and 16 apartments for shared ownership. Lintone Place is located in central Luton, close to the train station and shopping mall. The development consists of three apartment blocks, surrounding a central courtyard with communal bin stores and cycle sheds. The courtyard also includes a stunning painted mural of birds to reflect the names of the blocks — Starling, Swift and Dove. Local artist Aimi Rix created the artwork to bring an element of nature to the urban community. This development is one of several projects where Hightown has purchased the land directly and let a contract to build the homes rather than working in partnership with a house builder in a section 106 agreement. This is Hightown’s first development in Luton. Construction is also underway to build 49 new Hightown homes at Hatters Place on the other side of Luton town centre in Charles Street, in the area aptly known as High Town.